I have read quite a few books this year…every time I finish a book, I’m like “I’m so gonna do a review on this book”, but I simply move on to the next book lol! 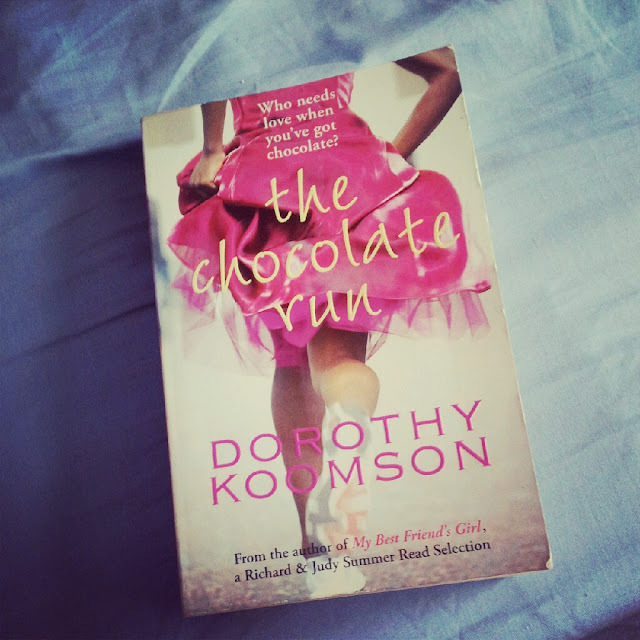 Most of the books I have read have been by Dorothy Koomson….in fact save for one book, I have read all her books, even her most recent novel, The Rose Petal Beach. Amber Salpone and Greg Walterson have been friends for 3 years….until one night they sleep with each other. What starts off as a “friends with benefits” arrangement (well at least for Amber) swiftly turns into something deeper which requires more commitment. In the same time frame, Amber’s best friend Jen starts changing, but not for the better. Amber has never been one to really confront issues head on; but with shocking truths revealed, she has no choice but to deal with them. I have actually read this book a few times; partly because I’m a fast reader, but mostly because I enjoy it. This is a story that could easily happen in real life; Do not be fooled by the title; in fact the references to chocolate and the actual chocolate run are minor and incidental to main story of Amber and Greg. I really felt that I could relate to Amber; the novel is told from her perspective. I could understand her loyalty to her friends, her conflicts, her insecurities. I dare say that a couple of her thoughts parallel my own! Other minor characters include Jen (Amber's best friend), Matt (Greg's best friend), Amber's family (Mum, Dad2 and Eric her step-bro) and her work colleagues, Martha and Renee. They all contribute to complicating and supporting Amber's life, with some making more significant impact than others. The characters were complimentary to Amber, and given fair time in the novel. Having said that, I felt that the references to chocolate didn't add to Amber's story and were not really needed. This book is definitely a step-up from her published debut novel the Cupid Effect. Don’t be deceived by the title of the book as the story involves the evolution and devolution of friendships, secrets, lust, love and comedy. Top Chick Lit! This sounds like a great book! Believe it or not I've saved this now in my diary to purchase!